According to data from Durex, the likelihood of somebody cheating on their partner depends heavily on their nationality. Their data reveals that 51 percent of Thai adults have admitted having an affair, the highest rate worldwide. Danes are also likely to play away, along with Italians. Britons and Finns are far less likely to be unfaithful. Read more in the indy100. 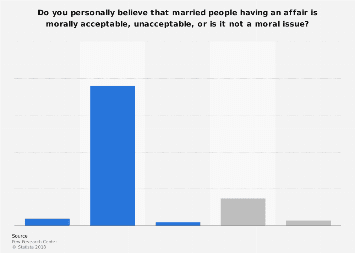 This chart shows the percentage of married adults who have admitted having an affair. Who do British men and women have affairs with?